Welding Engineer and Welding Technologist Jobs Explored. I have included both welding engineer and welding technologist jobs in a single section, because they tend to just be different levels of the same thing. A technologist is seen as a somewhat more junior level of an engineer role, but in many jurisdictions these roles are very similar. The requirements in terms of the certification is however different, hence the different titles. As a summary, welding engineers tend to be involved in more knowledge based work, rather than "hands-on" skill based work. If this is your idea of a good time, then becoming a welding engineer, or welding technologist, may be the way for you to go. As a general rule, a welding engineer has at least a Batchelor of Science (BSc) level of tertiary qualification while a welding technologist has a diploma level of tertiary qualification. In essence the difference is very much the same as being and engineer or technologist in any other technical field. Most countries have engineering councils or the like that manages who is allowed to call themselves an “engineer”. The international bodies that provide certification therefore tend to follow those guidelines in deciding who has the qualifications and experience to call themselves an engineer and who gets to call themselves a technologist. Having said this, many organizations providing training for welding engineer and welding technologist qualifications will provide the same training to both. Where there are differences, they are generally rather minor. There also needs to be a short note on the difference between a qualification and a certification in this regard. Once you have passed the necessary courses required by the training body, you have a qualification. Only once you have met the requirements of the certifying organization in terms of not only qualification, but also experience, will you receive a certification. The European Welding Federation (EWF) also runs certification programs in Europe, although their certifications are pretty much interchangeable with the IIW certifications, so it does not really matter too much whether you go for IIW or EWF based certification. The American Welding Society (AWS) also provides a widely recognized certification. If you are primarily operating in the Americas, then the AWS certification would be your first choice, but for most other areas I would recommend IIW certification. Please confirm this within your specific jurisdiction, by contacting your local welding institute or society. Depending on which organization’s website you go to, you will get another description of what a welding engineer or welding technologist does. Mostly it revolves around abstract concepts of “engineering judgement”. As a welding engineer myself, I would describe the job as one that takes the design inputs of welded components or structures, and makes sure that the design intent is practically implemented. In this context the welding engineer gets involved with the design process to make sure that the design is practical from a welding and fabrication perspective, and follows it all the way through the Quality Assurance (QA) and implementation and construction phases. Materials and metallurgy: You need to not only know what will happen with the weld metal, but also how the particular metal was manufactured, as different manufacturing routes (e.g. 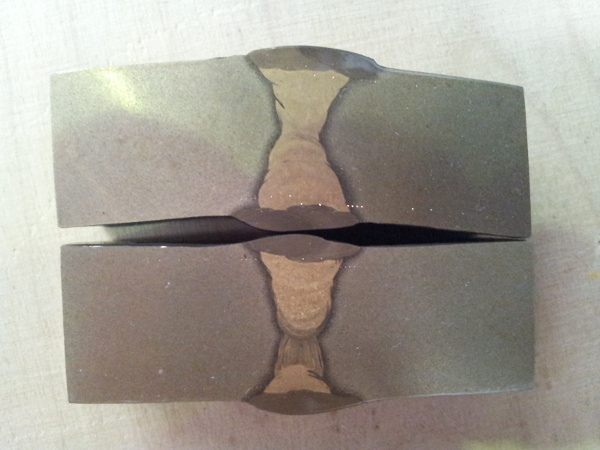 Casting; Forging; Rolling) will result in different issues when welding. Also, different heat treatments (e.g. Annealed; Quenched; Quenched and Tempered; Normalized; Precipitation Hardened) of the base metals will result in different issues when welding. Corrosion Engineering: You need to understand how the welding operation will affect the final component from a corrosion perspective, given its final operating conditions. In addition, you need to understand corrosion mechanisms for operating conditions, so that if you need to repair failed equipment, you can understand the risks. This would include understanding the failure investigation process and possible uncertainties associated with this. Electrical: You need to be able to understand the electrical aspects of welding power sources and electrical circuits associated with welding and the measurement of welding parameters. Welding processes: Not only do different welding processes have different advantages and disadvantages, they also result in different properties once deposited, and different typical defects. Welding arc physics: This is closely associated with the welding process knowledge, but understanding arc physics from a more fundamental perspective certainly helps one gain an understanding of why certain things happen while welding. Non Destructive Testing (NDT): Also called non Destructive Examination. (NDE) It is important to know how welds can be tested to gain a high degree of confidence that the desired results are being achieved. Some types of weld geometries can be difficult or impossible to perform NDT on, therefore cannot be used for some applications. Design: It is important to understand the design process of the components or structures you are working on. Without this appreciation, how will you know what is important? Fracture mechanics: This is really a specialist field where design and materials science and materials testing all come together. These days it is difficult to be able to be an effective welding engineer without having a good grasp of the fracture mechanics concepts. Quality Control and Quality Assurance (QA/QC): The QA process defines what checks needs to happen to make sure that the component or structure will end up meeting the design requirements. QC are the actions implemented to do the verification checking. Design and fabrication codes: The design codes define the design process and rules for safety critical components and structures. The fabrication codes (also called: manufacturing or construction codes, and include the welding codes) define the fabrication process for constructing the particular component or structure. These codes have been developed over time to try and standardize the way that particular safety critical components are designed and fabricated. The idea being that if there is a set of rules that everyone follows, then there should be fewer mistakes, which could have catastrophic consequences. The welding engineer / welding technologist needs to understand the specific codes associated with the components or structures that s/he is involved with. As a general rule, the design people do not know the fabrication part in too much detail, and the “shop floor” fabrication people do not understand the design part of the codes very well. It generally falls on the welding engineer / welding technologist to bridge the gap between these two groups of people. It should be clear that one person cannot be an expert on all codes, as there are hundreds of different codes, depending on the industry and product type. Legislation: Mostly welding engineers / welding technologists are involved in highly regulated safety critical industries. Having an appreciation for the legislation for the particular jurisdiction they are operating in is very important. 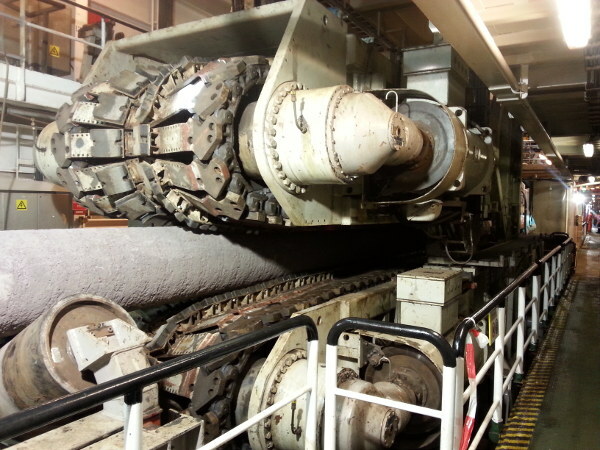 As an example, we can state that in some countries the principal responsibility for ensuring the proper construction of pressurized equipment lies with the manufacturer that manufactures the equipment, while in other countries it lies principally with the organization that will be using and operating the equipment. Without understanding this distinction, the welding engineer / welding technologist cannot ensure that the correct processes are in place to mitigate the legal risks. It should be clear that one person could not possibly be an expert on all the different legal system all over the world. You will need to understand the legislation within the jurisdiction that you operate in. Practical welding: While welding engineers / welding technologists do not have to do the actual welding, the more they know about practical welding skills the better. In this regard, welders that become welding engineers / welding technologists certainly have an advantage over those of us that followed a more theoretical route. At any rate, all of the welding engineer courses will include modules on practical welding, but this cannot really be compared to somebody that has spent years welding full time. Statistics: Many technical areas are not merely right or wrong, or black or white. They are rather functions of probability and various shades of grey. Welding is certainly one of those technical areas. To be an effective welding engineer / welding technologist, you need to gain an appreciation for how many different factors interact to deliver a particular outcome, and what the probability is for you to get a wrong outcome. In essence this is what “engineering judgement” is all about. It is about taking the inputs from all the different subject areas impacting on a welded product, and forming a statistical appreciation for how much risk for failure you have in your final welded product. It should be clear that a single person cannot be a specialist in all of the areas discussed above. One of the main roles of the welding engineer / welding technologist is to make sure that where specialists are needed, they are engaged. It should also be clear that it takes many years to become an effective welding engineer / welding technologist. Gaining a qualification is but the first step in a long process. 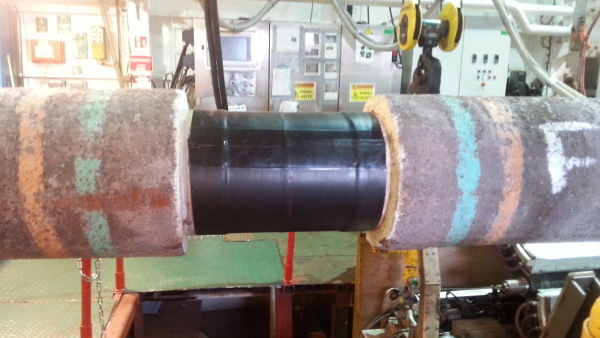 Field Weld in Subsea Pipeline With Field Joint Coating Completed. We have already mentioned the different organizations that provide the main certification schemes for welding engineers and welding technologists, therefore we will not mention that again. Here we rather want to look at how to go about becoming a welding engineer or welding technologist. While there are some universities that provide a bachelor’s degree in welding engineering, very few do. Most of the time, the qualification is a post graduate type of qualification. These can be in the form of a diploma course provided by a university or college or welding institute. Some universities offer these post graduate diplomas as masters degrees if you also perform some research project. So, most welding engineers start out their professional lives as mechanical engineers or possibly materials engineers. They then attend the needed welding training and gain the welding engineering qualification. This places them on track for applying for the certification once they have the necessary experience as required by the certification bodies. Those people that have a diploma, rather than a degree, when they achieve the welding qualification, then become welding technologists. Almost anybody can reach the level of welding engineer or welding technologist if they are committed to the additional studies that would entail. Many very good welding engineers / welding technologists start off as welders and work their way up through the QA/QC inspection route. It does however require you to attend university or college courses (usually part time) to meet the minimum requirements for entry to the welding course. Design reviews: This entails a review of a design for a welded product before it goes to production. Supplier audits: Auditing suppliers of materials and welding services to make sure that they have the capability and systems in place to provide a product of the required quality. Developing welding procedures: While some welding procedures are simple and straight forward, some are more complicated and high risk. For the more complicated procedures a welding engineer / technologist would generally develop the procedure. Developing welding philosophies: Before a project is started, it is a good idea to look at all the different factors affecting the particular project, and develop a philosophy or strategy for meeting all the needed objectives in terms of risk, quality, cost and schedule. Monitoring welding procedure qualification: For more critical welding procedures, the welding engineer / technologist will typically monitor the qualification process. Monitor fabrication: Once a project is under way, it is a good idea for the welding engineer / technologist to spend time on the shop floor or construction site to make sure that everything is being done according to plan. Welding repair proposals: For equipment that have been in service, and need subsequent repair, the welding engineer / technologist is typically involved. Here the welding engineer / technologist not only needs to know how to work with new materials, but also how the operating conditions have affected the material to be repaired. Developing or reviewing fitness for purpose assessments: Nothing is 100% in this world. Safety factors in engineering design are used to compensate for the typical variations that could be there. Fitness for purpose assessments look at whether a component is still “fit for purpose” even though there are known flaws in it. This typically involves fracture mechanics. Welding engineers / technologists are often involved in this process. Developing or reviewing NDT procedures: While the welding engineer / technologist is not necessarily an expert in the NDT field, they normally need to be involved to make sure that the NDT being performed does meet the necessary requirements for the job. Trouble shooting: More often that we would like to admit, projects start to “go off the rails”. This could be anything from high reject rates, delays in execution or major disagreements between production and QC personnel. (Amongst other possibilities!) When this type of thing starts to happen on a job where welding is at the core, it often falls on the welding engineer / technologist to ascertain where the problem lies and to propose remedial actions. The job of a welding engineer or welding technologist can certainly be most rewarding if you like a more theoretical approach, while still having quite a lot of direct contact with the shop floor hands-on people and work.